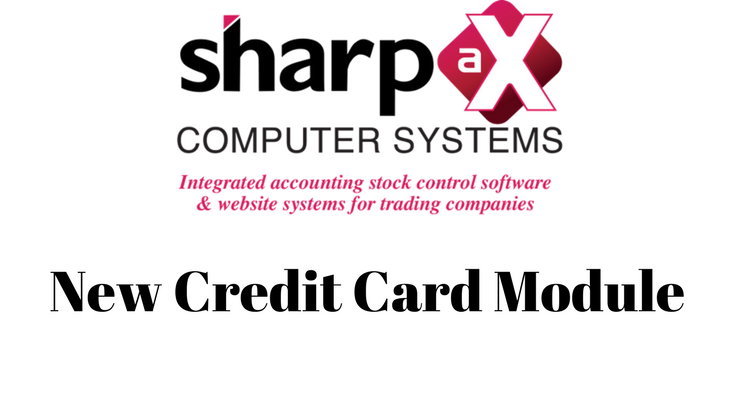 The Sharp-aX PAGO Credit Card Module is designed to work seamlessly with the Sharp-aX software taking payments directly into the system. Unlike other credit card companies, PAGO offers a rolling contract and do not tie you to a long term fixed contract. There is an Annual rate revision related to turnover. The Module is a one off purchase and includes two credit card devices and two desk stands. From order to setup and installation within one week. Simply submit your current turnover, monthly/annual fees and percentage rates on debit and credit cards for a written statement of how much you will save. As your turnover increases, so your maximum charge of 1.25% transaction value will reduce for your current credit cards. Future additions are in process. Additional mobile devices cost £200+VAT.